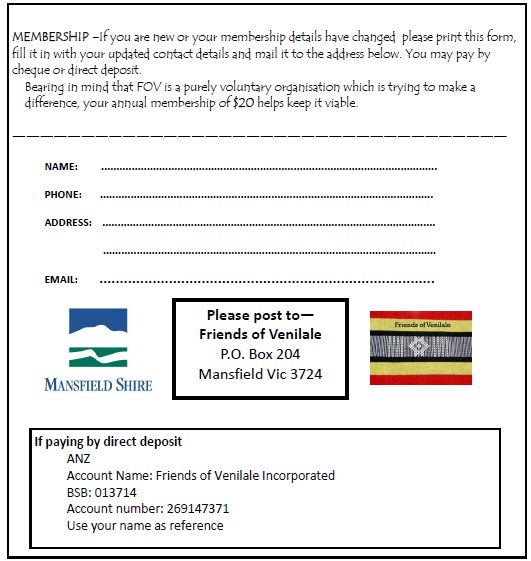 The Mansfield Friends of Venilale, FoV, had a very busy year in 2016. 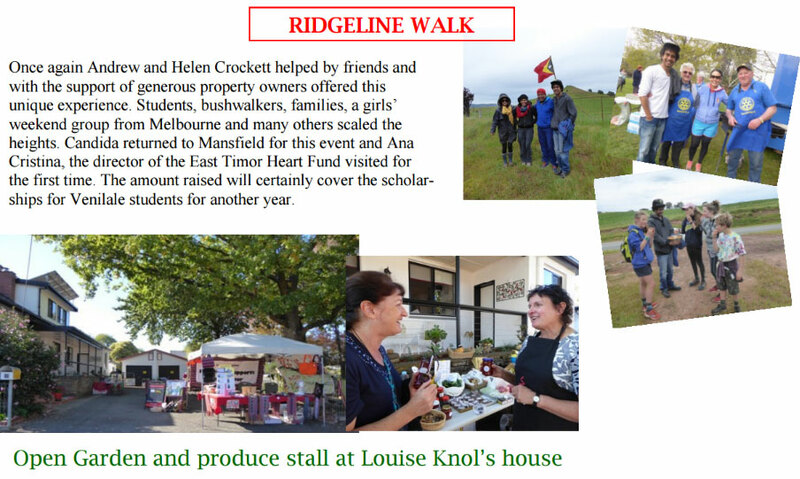 Fund raising continues to be an important aspect of the group and the Mansfield community constantly offers its support for activities like The Ridge Line Walk, the Tolmie Antique Fair and Ann Eldred’s morning tea. The renovation of the Community Centre in Venilale continues to be our key fundraising goal this year as well as continued support for scholarship holders. Two of our friends from Venilale—Boss and Candida visited us and some Mansfield locals will be visiting Venilale again this year. 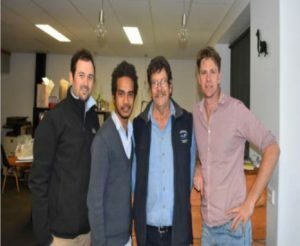 Wild Timor Coffee is a coffee importing company founded by four Australian Peace-keepers after returning from service in East Timor. 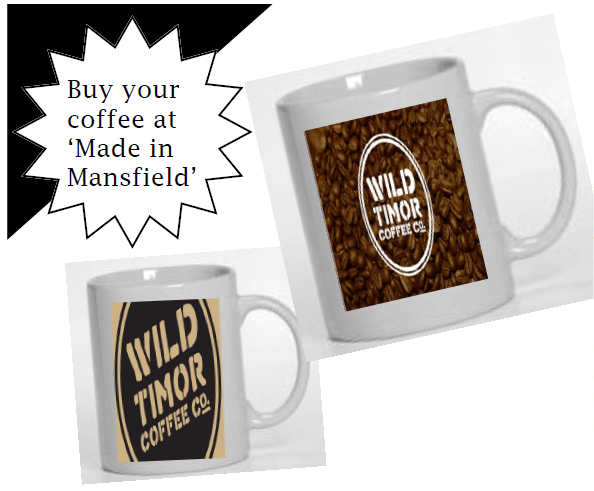 FOV supports ‘Wild Timor’ because it is a new business and they pay their farmers even better than fair trade companies. A very successful day in more ways than one. 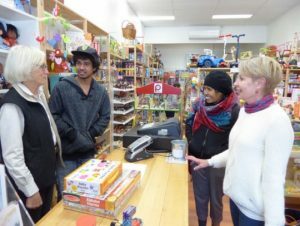 Marg Attley worked tirelessly to set up a stall and to organize a fun auction. 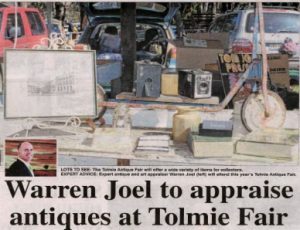 Meanwhile many people took advantage of the presence of Warren Joel, a very humorous and knowledgeable valuer, to find out if they had a special treasure. 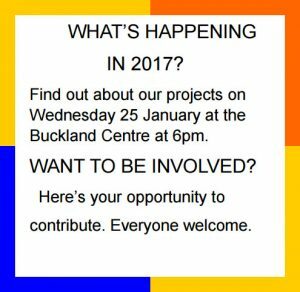 FoV’s second annual general meeting was held in November 2016. Sadly for our organisation but very happily for them, Jenny and Dave Dunlop have moved up north. We will really miss their friendship and tireless support especially when trying to erect the gazebo at the next bush market! Ann McCann from the wonderful toyshop ‘Mac & Milly’ donated English books for the orphanage as well as keeping a donations tin on her shop counter. 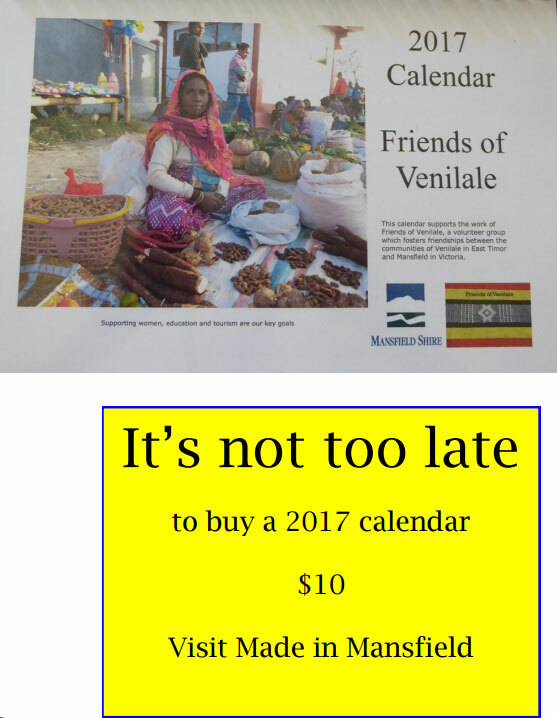 Such a simple but thoughtful way to raise funds for Venilale impressed Boss and Candida. I am Valeriano da Silva (Boss) from Venilale, Timor-Leste and I have been voluntarily working with Friends of Venilale and Friends of Mansfield since 2010 as a translator for Australian volunteers and other foreign aid workers, for small and large groups within Venilale’s tourist program and as a key link between FoV and FoM. I graduated as an architect from Universidade da Paz in 2015 and my interest has always been in sustainable building designs using a combination of technology, industries and local materials, with the aim to promote the local identity of a region and to reduce the impact of climate change through architecture. At uni, I learnt a lot of theory but implementing the knowledge would be a major challenge. 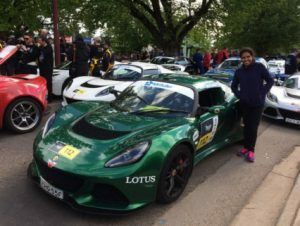 Being sponsored by FoM and people I knew in Mansfield to come for six months and do work experience in Mansfield was an amazing opportunity. My voluntary internship in Mansfield was with Taylor Consulting Engineers and Willick Design and started on May 11th. 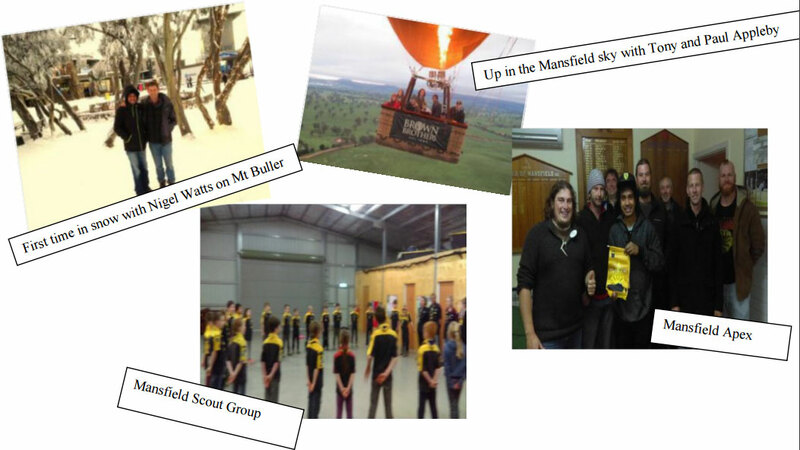 It was a great opportunity for me to strengthen the relationship between Mansfield and Venilale by visiting schools, clubs and service organisations and to gain more knowledge and understanding of the Australian working environment in the areas of engineering and architecture. My appreciation of education and the socio-cultural lifestyle in Australia has grown enormously. I would especially like to thank the incredibly amazing people I have worked with: Guy Taylor, Phil Taylor and Ben Willick for sharing their skills and knowledge. With their patience and openness they have created an enjoyable working environment. Finally I would like to thank the people of Mansfield, all the schools and community organizations: Mansfield Secondary College, Lauriston School, Geelong Grammar School Timbertop, St Mary’s Primary School, Mansfield Primary School, Mansfield Steiner School, Alpine Secondary School, Mansfield Rotary Club, Mansfield Apex Club, Mahjong Group, Mansfield Scout Group, Central General Practice and Mansfield District Hospital, Mansfield Christian Fellowship Church, Mansfield Catholic Church, Mansfield Anglican Church, MAD Orchestra, Mansfield Soccer Club, Mansfield Art Gallery, MACE, Mansfield Daycare Group, Mansfield Football and Netball Club, Mansfield Golf Club and to the people and the local government of Mansfield who have been building a strong connection and proudly supporting Venilale’s development. It has been a pleasure to visit and talk with local organisations, to explain the real situation in Venilale, sharing social, cultural, educational, health and economic developments. I am very grateful that during my stay in Mansfield, families and friends have been very supportive and helpful. Living with many families in the area gave me such a great opportunity to build more connections, be part of the family and experience the Australian life style. Candida Belo is a teacher at Venilale Senior High teaching English to Years 10, 11 and 12. Sponsored by Mayra Walsh from Strathbogie and hosted by Mayra’s parents in Melbourne, Candida won an RMIT English Worldwide Scholarship which meant her tuition and course materials were free. Mayra organised other sponsors for Candida who helped pay for flights and a living away from home allowance. 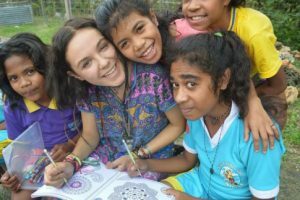 RMIT offers this scholarship to two women from East Timor each year. 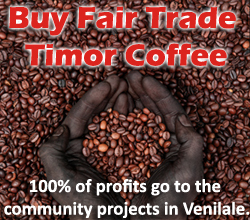 The applicants have to work in a rural area in East Timor and commit to returning to work in their community. 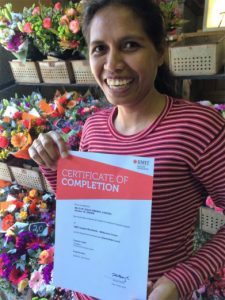 Candida has been hard at work learning English for ten weeks and doing exams at the end of the course. 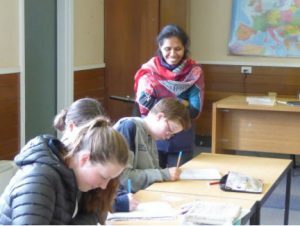 The highlights were learning the Australian method for teaching English as a second language, learning how to compare/ contrast and write about information in graph form and meeting people from different cultures. In her class at RMIT fellow students included two Japanese, one Vietnamese, two Saudi Arabians and eleven Chinese. 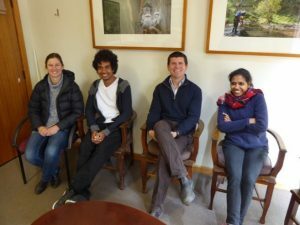 Travelling to Mansfield twice, Candida participated in the Ridgeline Walk and visited Venilale Senior High’s partnership school, Geelong Grammar Timbertop Campus. On this final visit she was also able to attend the farewell party for Boss. Candida loved the Ridgeline Walk because everyone was so happy and friendly even though the weather was cold. 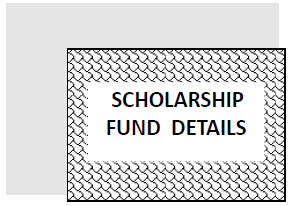 She had not realised that this is where the bulk of the funding for the Scholarship Programme comes from. She was delighted and amazed when she visited the Timbertop Campus, meeting with the principal, Tom Hall and contact person Emily Tuechler. She addressed a student assembly in the chapel describing life in Venilale and her school. 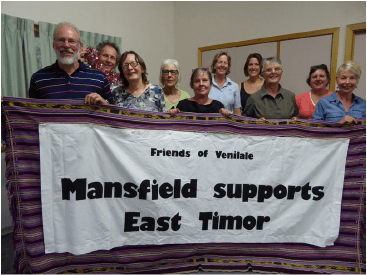 Candida delighted to visit Mansfield and Timbertop Candida enjoyed helping other Friendship groups during her stay. 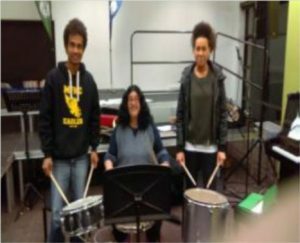 The Friends of Baucau group, located in Darebin/Yarra ran a BBQ fundraiser outside Bunnings and in Myrtleford, Candida was the guest speaker for the Friends of Lacluta Year 9 fundraising dinner. 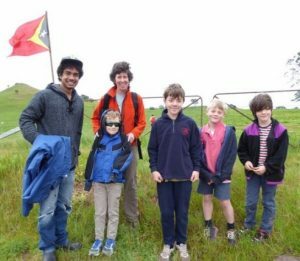 During weekends Candida enjoyed a visit to the Melbourne Zoo and sailing at Hastings, activities not available in East Timor. She now has a much deeper understanding of Australian life and the high cost of living compared to East Timor. Experiences like hers result in valuable benefits for her town and students. She has been a wonderful scholarship recipient and ambassador for both East Timor and Venilale. On November 24th she flew home to her adorable six children and wonderful husband, Celestino who had been minding them during her absence. Mansfield Primary School students have been working hard to inform their school community about their friendship school, Uato Haco Primary. A team of students created a pictorial description of their school which was taken to Venilale by Michelle Harmer when she visited. Also students participated in the Ridge Line Walk. 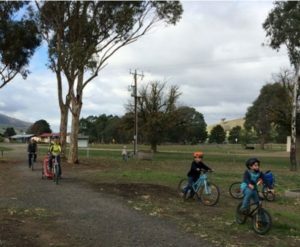 Mansfield Steiner School organised a fun bike ride from Mansfield to Maindample to raise funds for their friendship school, Uai Laco Junior High. Welcome drinks and cakes were followed by a hearty barbecue. 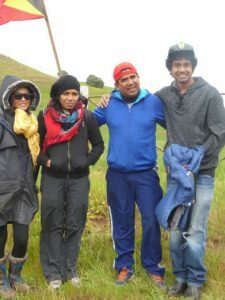 It was a fabulous outing for the whole family. Candida was delighted to meet with the principal of Geelong Grammar Timbertop Campus, Mr Tom Hall and her contact person, Emily Tuechler. She accepted $A1,000 which will buy teaching resources for Venilale Senior High, their friendship school where Candida teaches English. Boss who is a graduate of Venilale Senior High was happy to see such a worthwhile relationship developing.